There are several factors which can cause high voltage present but the screen is dark (blank), but for now I am going to talk about one of the causes. First be sure High voltage (HV) is present. 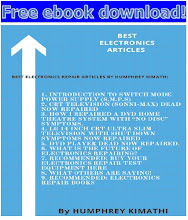 This you can easily confirm by listening (hearing), I have pointed out elsewhere on my blog troubleshooting electronics using body senses like Sight, hearing, taste, smell and touch is allowed. So you can use any of those depending on the situation at hand, they are also free gift from your maker just like oxygen and therefore expect no bill at the end of the month by using them. You can easily confirm the presence of HV by listening to the CHAA sounds or feel for the static son the screen using the back of your hand. 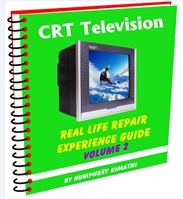 After you confirm HV is present, move on to small neck board at the back of CRT TV, there is a glass tube where this board is connected and inside it you should see something like a small bulb. Usually if it is working it light up like a normal bulb, if there is light on it means that the heater is okay and therefore should focus your troubleshooting somewhere else. If the bulb is off check the heater circuit and re-solder all dry joints on the circuit including the heater pin at the CRT neck board-very common to have dry joints here. 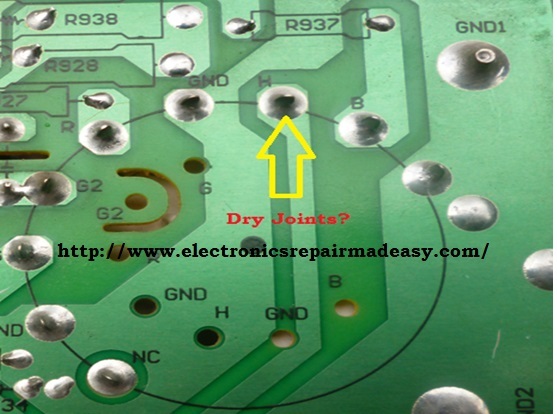 The source of heater is usually the flyback, so trace your way there looking for more dry joints, open track or resistor. 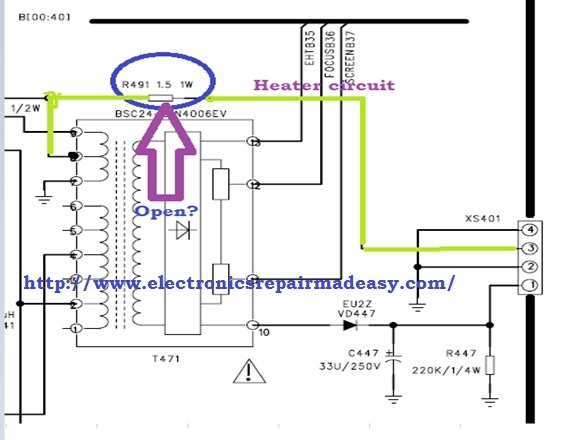 Heater circuit use a.c voltage so you will not find any diode or capacitor on this circuit, only a low value resistor which act as fuse and therefore can go open or change value to high and both will affect this circuit. 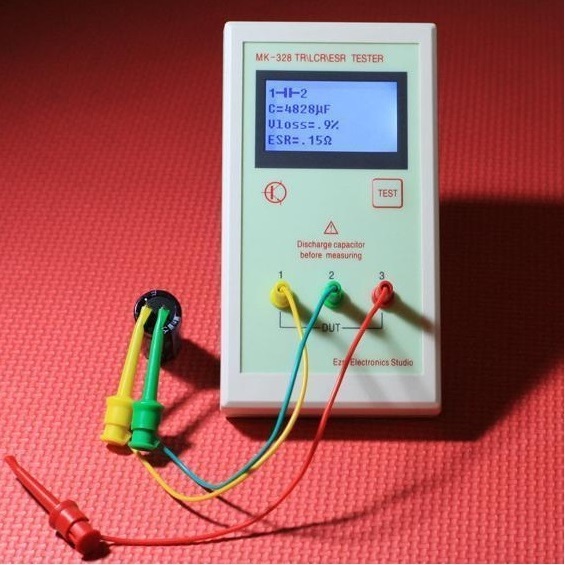 You can easily confirm if there is open circuit by using meter set to low ohm (200 ohms) and test for continuity between the fly-back (heater) pin and the heater pin at the CRT neck board. 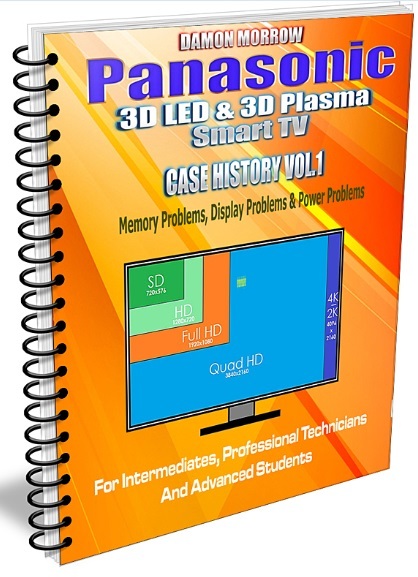 This is an excellent first step to troubleshoot HV present screen dark. Relatively high current flows in the heater circuit. This serves to heat the joints on the crt neck board and heating and cooling eventually causes these joints to become "dry" Remember to use flux before re-soldering. Also eyeball the position of the screen adjustment pots. Expect them to be near center. 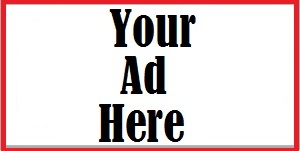 If not suspect "unauthorized engineers" have been tampering with these adjustments. 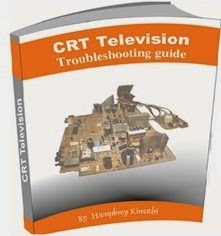 Take a quick voltage check on the screen pins of the CRT. Hi Emma. 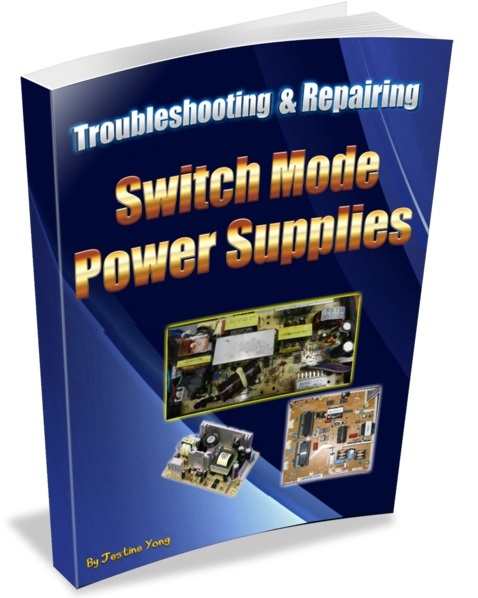 universal power supply come with a manual, use that to sort out the issue.